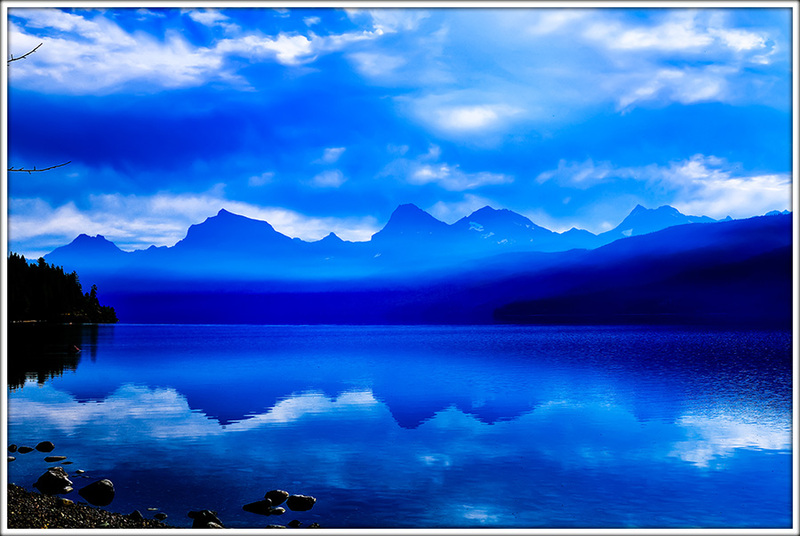 Lake reflections with fog on McDonald Lake in Glacier National Park. This image is available exclusively as a limited edition fine art giclee print. No more that 50 prints will be made of this image. Each print is signed and comes with a Certificate of Authenticity.